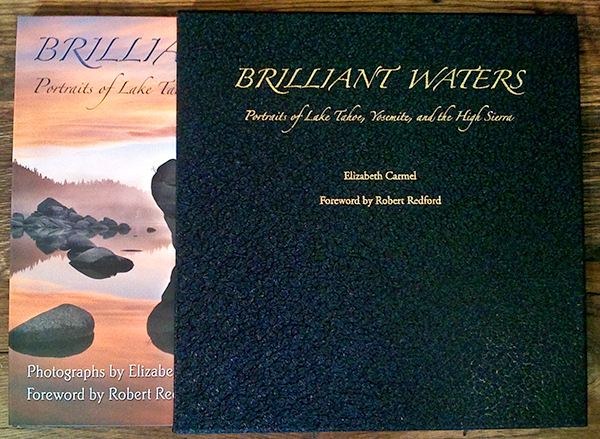 Today I am announcing the availability of the new "Collector's Edition" series of my book "Brilliant Waters". The limited edition book set includes a custom slip cover, a copy of the book from the first printing, and a signed & numbered 8x10 print of "Sunrise on Eagle Falls". All other copies of the first printing are now sold out, with the exception of these last 50 limited editions. The price for this set is $150, plus $10 shipping. If you are interested in ordering one, please contact me via email or phone at 530-582-0557. More information is available on my web site.